Gareth joined Watsi on March 20th, 2014. Four years ago, Gareth became the 910th member to automatically support a new Watsi patient every month. Since then, 4,187 more people have become monthly donors! Gareth's most recent donation traveled 8,400 miles to support Sayuni, a girl from Tanzania, to fund orthopedic surgery. Gareth has funded healthcare for 60 patients in 11 countries. Sayuni is a girl from Tanzania. She is four years old and the youngest in a family of eight children. Sayuni was diagnosed with bilateral genu varus. Her legs are bowed outwards. This condition is typically caused by an excessive accumulation of fluoride in the bones, which often stems from contaminated drinking water. Our medical partner, African Mission Healthcare, is requesting $940 to fund corrective surgery for Sayuni. The procedure is scheduled to take place on April 4. Treatment will hopefully restore Sayuni's mobility, allow her to participate in a variety of activities, and greatly decrease her risk of future complications. 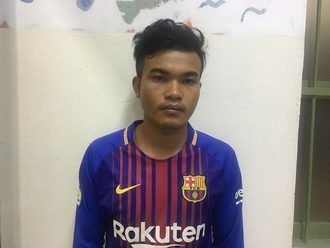 Thearo is a young man from Cambodia. Ten years ago, Thearo's spine started to curve, which is progressing with age, making it difficult to sit in school for long periods, and causing a lot of discomfort. Surgery can help correct the position of his spine, and prevent further worsening of the condition. Fortunately, surgery is scheduled for March 14. Our medical partner needs help raising $1,500 to fund this procedure. Thearo hopes to go back to school and become a teacher one day. He says, "I hope that after surgery, I will no longer have any pain and will be able to go back to school without any discomfort." Yanara is a young student from Haiti. 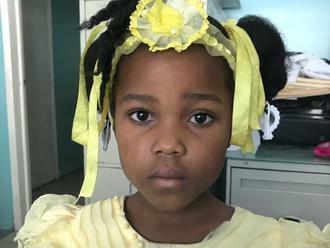 She lives with her parents and siblings on an island off the west coast of Haiti; her father is a fisherman. Yanara has a cardiac condition called patent ductus arteriosus. A hole exists between two large blood vessels near her heart; blood leaks through this hole, leaving her sick and short of breath. 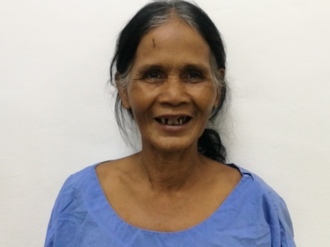 On February 11, she will undergo cardiac surgery at St. Damien Hospital, our medical partner's care center. During surgery, surgeons will sew the hole closed so that blood can no longer leak through it. Another organization, Gift of Life International, is contributing $5,000 to pay for surgery. Yanara's family also needs help to fund the costs of surgery prep. The $1,500 requested by our medical partner, Haiti Cardiac Alliance, covers cardiac exams and medications. Her mother says, "We are happy that our daughter can become normal and stop being sick so often." Nat is a mechanic from Cambodia. He is married and has one son. He likes to watch TV in his free time. Three years ago, Nat had an ear infection. This infection caused a cholesteatoma, or an abnormal skin growth, to develop in the middle ear behind the ear drum. For this reason, Nat experiences ear discharge, tinnitus, hearing loss, and itchiness. It is difficult for him to hear well. Nat traveled to our medical partner's care center to receive treatment. On January 8, he will undergo a mastoidectomy procedure in his left ear. During this procedure, ENT surgeons will remove the cholesteatoma. Our medical partner, Children's Surgical Centre, is requesting $842 to fund this procedure. This covers medications, supplies, and inpatient care. His wife says, "I hope that my husband's surgery goes well. I worry about his hearing loss." Joseph is a baby from Kenya. He is the youngest child in his family. Joseph has been diagnosed with hydrocephalus, a condition in which excess cerebrospinal fluid accumulates in the brain and increases intracranial pressure. As a result of his condition, Joseph has been experiencing an increasing head circumference. Without treatment, Joseph will experience severe physical and developmental delays. 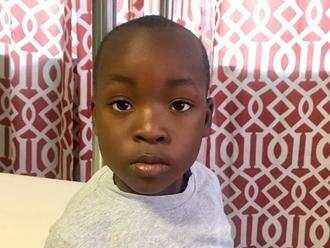 Our medical partner, African Mission Healthcare Foundation, is requesting $685 to cover the cost of surgery for Joseph that will treat his hydrocephalus. The procedure is scheduled to take place on December 13 and will drain the excess fluid from Joseph's brain. This will reduce intracranial pressure and greatly improve his quality of life. With proper treatment, Joseph will hopefully develop into a strong, healthy young boy. Joseph’s mother says, “My prayer is to have my son grow as a normal child with fewer health-related problems." Nathan is a student from Haiti. He lives with his parents and two older sisters in Port-au-Prince. He has just started kindergarten. Nathan has a cardiac condition called patent ductus arteriosus. A hole exists between two major blood vessels near the heart. Blood leaks through this hole, leaving him short of breath and causing heart failure. On October 7, he will undergo cardiac surgery at St. Damien Hospital, our medical partner's care center. During surgery, surgeons will tie off the hole so that blood can no longer leak through it. Another organization, Gift of Life International, is contributing $5,000 to pay for surgery. Nathan's family also needs help to fund the costs of surgery prep. The $1,500 requested by our medical partner, Haiti Cardiac Alliance, covers cardiac exams and medications. His mother says, "I am looking forward to letting my son play outside without worrying about him!" 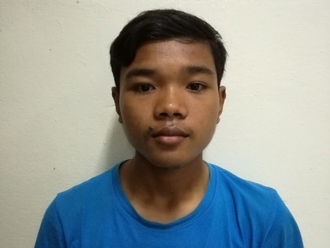 Sokban is a sixth grader from Cambodia. 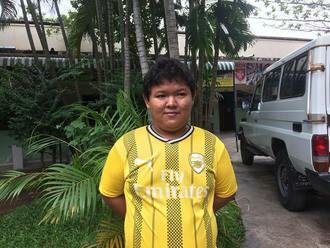 He likes to study mathematics, the Khmer language, and science. He enjoys eating fried pork and loves to read and play games with his friends. Five months ago, Sokban had an ear infection. This infection caused a cholesteatoma, or an abnormal skin growth, to develop in the middle ear behind the ear drum. For this reason, Sokban experiences ear discharge and tinnitus. It is difficult for him to hear clearly and pay attention in school. 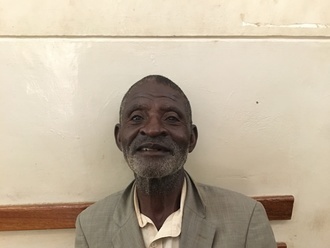 Sokban traveled to our medical partner's care center to receive treatment. On August 10, he will undergo a mastoidectomy procedure in his right ear. During this procedure, ENT surgeons will remove the cholesteatoma. Our medical partner, Children's Surgical Centre, is requesting $842 to fund this procedure. This covers medications, supplies, and inpatient care. His mother says, "I hope my son's surgery is successful and he can get back to school." Charles is a three-month-old boy from Tanzania. He is the youngest in a family of two children. He was born with a condition called spina bifida, in which the spine does not form correctly before birth. This leaves him at risk of future complications and infections. Charles's parents are small-scale farmers who cannot afford surgery for their son. Fortunately, they visited our medical partner's care center. Now, Charles is scheduled to undergo spinal repair surgery on June 3. The procedure will cost $1,369. “Please help my son get the needed surgery. If we had the money, we would have taken him to hospital early. We have been living with worries as time goes by because anything can happen to him with this condition," says his mother. Kaleb is a farmer from Cambodia. She has two daughters and four grandchildren. She likes to listen to the news on the radio in her free time. Three years ago, Kaleb developed a cataract in each eye, causing her photophobia, blurry vision, and irritation. She has difficulty seeing things clearly, recognizing faces, and going anywhere outside. When Kaleb learned about our medical partner, Children's Surgical Centre, she traveled for nine hours seeking treatment. On June 11, doctors will perform a phacoemulsification surgery and an intraocular lens implant in each eye. After recovery, she will be able to see clearly. Now, she needs help to fund this $398 procedure. She says, "I hope to continue my work as a farmer after my eye is healed."